I spent a few hours at Phoenix-Mesa Gateway Airport in Mesa, AZ yesterday. 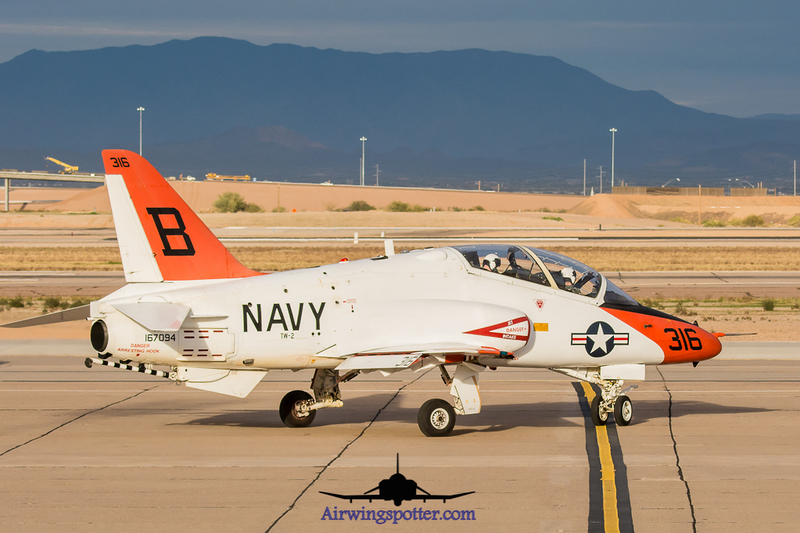 The airport had posted on it’s Facebook page that some McDonnell Douglas (Boeing) T-45 Goshawks were in town for a day or two so I figured I would visit. The airport is only a few minutes from my home so it is an easy trip for me. As I was driving to the airport, a formation of 4 T-45’s flew over. They were making their initial approach into the airport. When I arrived at the airport, 6 T-45’s were parked and 4 were arriving. 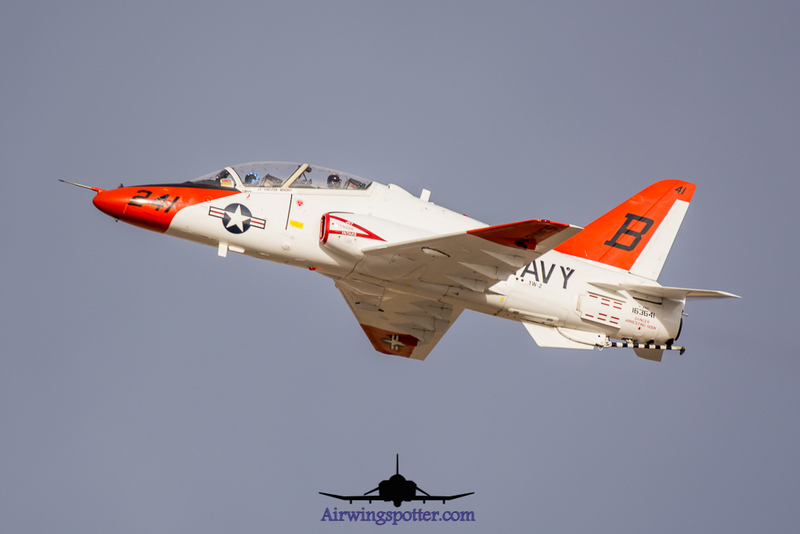 The T-45’s were from Training-Wing Two (TW-2) based at NAS Kingsville in Kingsville, Texas. The weather conditions were cloudy but, at times, the sun peeked through enough to get some decent light. 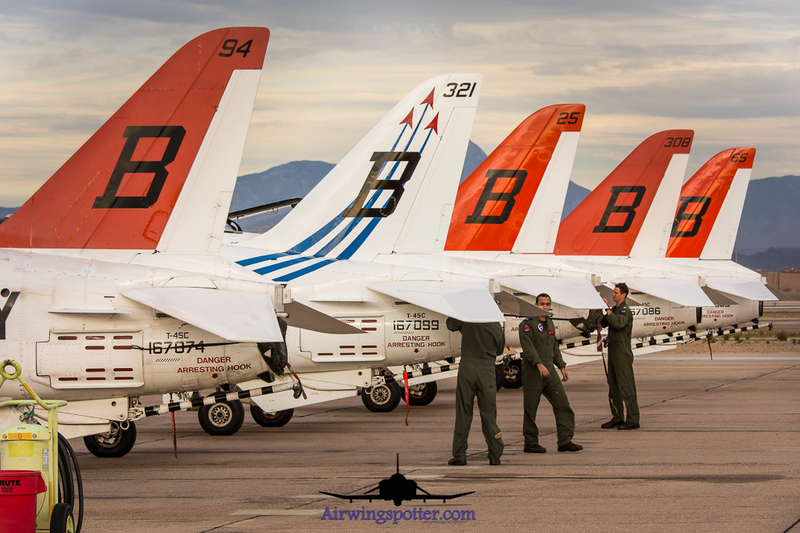 The activity was winding down for the day but a few more T-45’s went out for a few hours. The highlight of the day was the VT-21 “Fighting Redhawks” color bird. 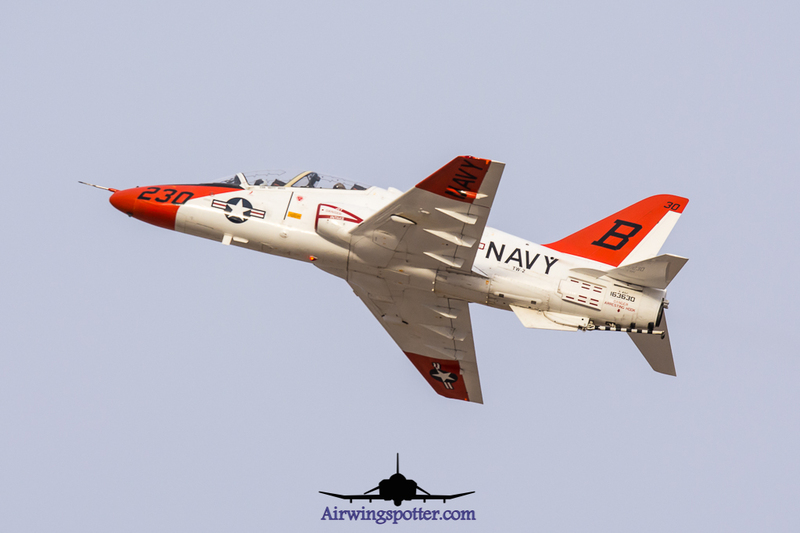 This Goshawk was not painted in the typical “T-45” orange and white and provided an interesting contrast to the other aircraft. 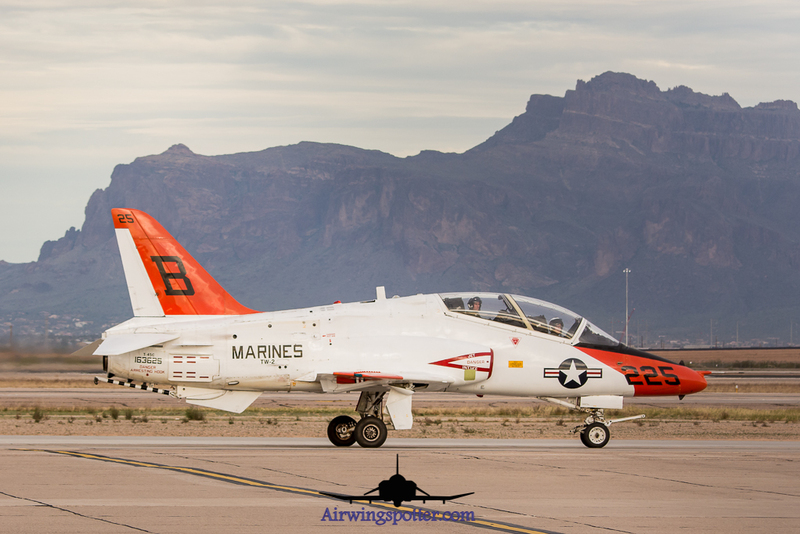 These aircraft were only in town for a few days before heading over to NAF El Centro in El Centro, CA for some training exercises. 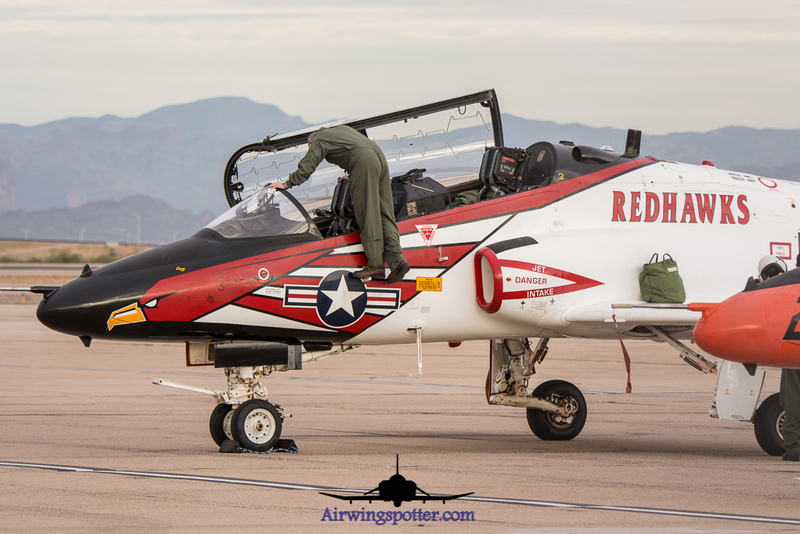 Even though the variety of aircraft was minimal, the visit gave me an opportunity to help break in a new lens while getting some decent shots. Great article and very nice lighting. I love the ones where they are lined abreast with the mountains in the back ground. Would you happen to know if they were on their way to or from El Centro? Thank you Bill. KIWA can be a great place on weekends this time of year. Very nice bud! Havent seen any T45s in a while.